At Turnagain Dental, we have a wonderful team of dental professionals and a friendly and welcoming office staff. Together, we work to create relaxed and pleasant dental experiences for every patient, every visit. We work to educate, treat, and create a partnership with our patients that will lead to a lifelong improvement in your dental health. Continue reading to learn more about our excellent dental team! Carrie grew up in Las Vegas but considers Fairbanks and Eagle River to be her homes. She joined our dental team two years ago, after supporting our troops at Eielson Air Force Base for eight years. During her service at Eielson, she was awarded the 354th Medical Group Civilian of the Year award in 2008 and the PACAF Dental Civilian of the Year award in 2011. 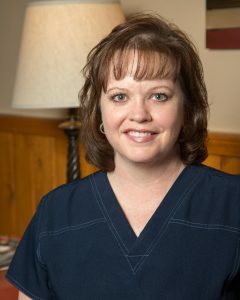 Carrie loves being able to put patients at ease and make them more comfortable about visiting the dentist, as well as working with them on dental hygiene education. She loves taking the time to answer questions and share her knowledge with our wonderful patients. When she’s not at work, Carrie loves exploring the outdoors, especially camping and fishing with family and friends. Brad was born in Michigan, and moved to Wasilla in 1989. 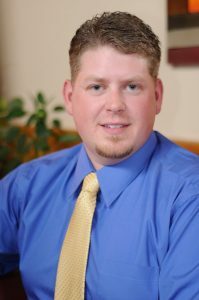 He attended the University of Alaska to become certified as a registered dental hygienist, and he has been with our practice for eight years. Brad has been blessed with a loving family, and when he’s not at work, he enjoys camping, traveling, and fishing with his wife and two wonderful children.